So I’m on a little road trip and happen to stop by “Victorian Days” in a little town of Grand Ledge, located about 15-20 miles west of Lansing, the Michigan state capital city. While wandering aimlessly about town – which didn’t take long – I built a bit of a thirst and popped into a locally recommended watering hole and quickly realized it was a mistake. They had Oberon and Fat Tire, otherwise was a wasteland of macro beer. As a second chance, I happened across the street to another establishment, only to discover it was actually a brewery. Score!! I had no idea there was a licensed brewpub in town, so I was a bit giddy at my good fortune. It appears the “brewery” part was a bit of an afterthought, as The Barn is a quite simple, hole-in-the-wall type establishment – which is my preferred genre in American establishments anyway. Sure enough, they had what appeared to be a one or two barrel system in a corner and four house-made brews on tap. I dug into a sampler platter that consisted of White Boy, an American style wheat, West Coast, a California Common Beer, Irish Red and a CherryWood, a smoke aged ale. The bar maid informed me that the locals had responded well to the beers, which rotate often in sixth barrel kegs. The most popular beer (which wasn’t mentioned) was currently sold out, but would be back soon. The White Boy and Irish Red were both pretty standard efforts, although the Red was a little pale for the style, but made up for it in maltiness. The West Coast was unfortunately infected, so not a good example. However, the CherryWood was probably the most interesting, with a hearty smoked wood aroma and nose that hearkened back to Bamberg in the middle of summer. A deep copper color, it was a very balanced brew with a hint of malty body, with a soft lingering smoky nose that covered the roof of your mouth. It was great to stumble into a place, and have no friggin’ idea they were actually in on the Gospel of Craft Beer. This is another lesson in the “Don’t Judge a Book by its Cover” rule. As mentioned in my visit to Greenville, another small town Americana, if the Word is getting around here, then the tide is truly turning in favor of real beer. I’ll be sure to stop again the next time I’m in town. Continuing my tour of Wisconsin, I’m visiting LaCrosse – former home of G. Heileman and one of the U.S.’s largest Oktoberfest celebrations…and current home of City Brewing, a large contract company. It also is reported to have one of the largest bar & tavern populations per capita in the U.S., so I’m a big fan of the town. 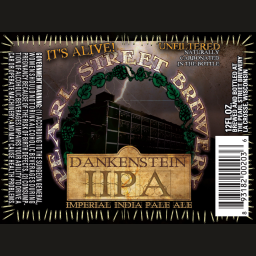 Pearl Street Brewing is actually a craft brewer that moved into an expanded facility and started bottling beer several years ago after surviving nearly a decade pouring draft only. I was kind of intrigued by their “Imperial” India Pale Ale, particularly as it poured a deep caramel pearl red color, hinting at the complex malt grain bill. There was almost no head, save a few large bubbles that hung around a bit throughout the glass. The nose was herbal pine, as expected, but the profile is primarily malt based. There’s a big hop bite too, with a long dry finish, but not nearly what I’d expect from an IIPA. Personally, I appreciate the balance, even if unexpected. Checking in at nearly 10% ABV, the maltiness and balance combine to make this a relatively drinkable beer and one would not suspect it to be as strong as it is, as the profile is that of a crunchy IPA. It’s a solid effort, with only the flat appearance and slight medicinal notes holding it back in my view. Unibroue was founded as La Brasserie Massawippi by André Dion and Serge Racine in 1990 and is one of the Canada’s most well regarded craft breweries. Merged in the mid-90’s, they become acquired by Sleeman Breweries in 2004, and then by Sapporo in 2006. Known is “Unibrew” in the States, it’s not to be confused with the InterBrew, predecessor of ABInBev. 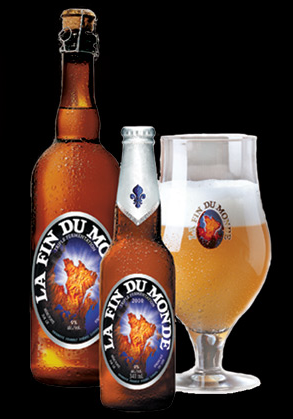 They make a variety of beer, but is most known for their Belgian varieties, including today’s “End of the World,” a bottle conditioned Belgian style tripel Golden Ale, named in homage to sailors reaching the New World in the Age of Exploration. It’s typically found in the 22 ounce bomber bottle, sealed with a nice foil wrapper. Pouring a lightly cloudy yellow, with a soft, creamy head, I immediately noted the excellent head retention. The nose has notes of apple, pear and a light fruitiness that masks the hefty 9% ABV. Spicy, with a crisp bite to it, there is nary a hop note relative to some true Belgian triples, but instead a long mild finish of alcohol with a lingering maltiness. While this is an excellent beer with a gorgeous appearance and is highly rated by many, I found it slightly acidic with a little more burn than I’d like for a conditioned triple. That said, I’d never turn down a chance to imbibe whenever I found it available. has grown to fill its new present location in 2007. World Beer Cup in 2000 for their “Catastrophe Ale” tribute to Y2K. clean it up, trailing off into a lingering, malty aftertaste. flavors or more than a hint of malty bitterness. measure and would be welcome in my ‘fridge any time. distant ports of call. Today is one of those days. group. Founded in 1888 by five citizens of Flensburg, it is owned today mainly by the founder families Petersen and Dethleffsen. Before modern refrigeration, the brewery used to chop blocks of ice from frozen lakes in the winter and bring the blocks back to the brewery to keep their underground storage facilities cool in summer. They still operate using their own water well, which is supplied by an underground vein of very old Ice Age melting water coming from Scandinavia. blunt regional identity among many Northern Germans (note the ad below). a more typical helles lager. not the beer I had remembered. And this created the dilemma. purchase, than it’s fair to review it as it is. samples and, while not undrinkable, was nonetheless disappointing. recognizable to any beer geek. 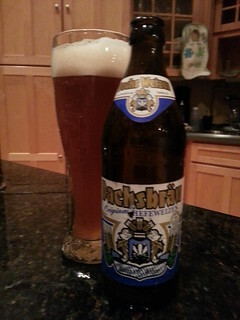 as well regarded as any of the others (even if it doesn’t qualify to be served at Oktoberfest). it’s definitely not as overwhelming as it used to seem. stored under good conditions and held up well. because all the Starkbier is on the market and many of them are excellent. This is arguably one of Germany’s most famous beers, at least by image. to the original Hofbräuhaus am Platzl. 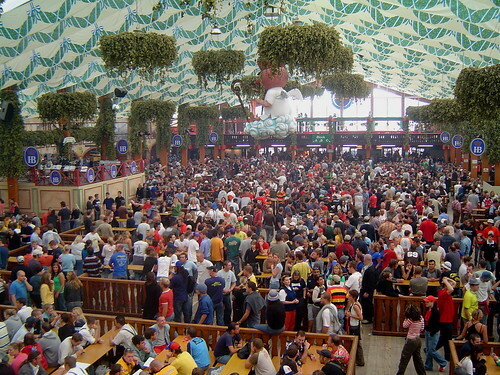 Oktoberfest, and traditionally one of the randiest. is a pretty poor replica. pale helles style lager. This version, along with most other imported and U.S. This is probably one of the most famous and influential beers in the world. because of some pissed off locals, the isolation of lager yeast and the development of pale malt married with Saaz hops. Of course, “pilsner” beer has become a style attached to everything from Shorts Pontius Pilsner to Miller Lite, unlike the other Bohemian style of Budweis, which has become a much debated brand name. The brewery itself is a great visit. Plzeňský Prazdroj was founded in 1842 as locals revolted against the substandard ales of the time and built a new brewery led by Bavarian brewmaster Joseph Groll. 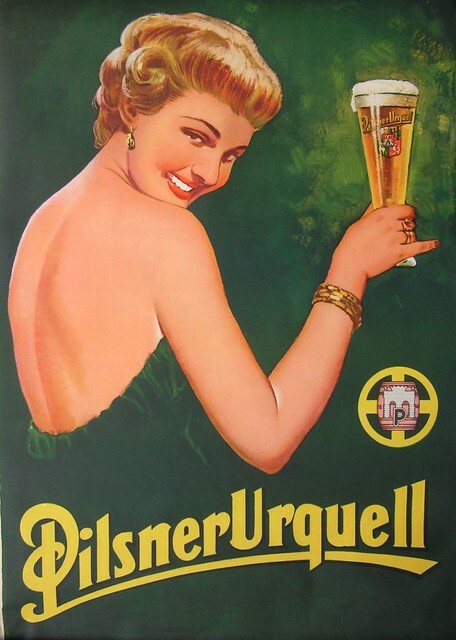 Today, it’s better known by its German name, Pilsner Urquell, meaning the “Well (or Fountain) of Pilsen.” Until the 1980’s, they were actually still fermenting in wood – which makes the mass quality all the more remarkable over the years, even during Communist rule. Although it’s now part of the SABMiller empire, they are still brewing at the source and maintaining their flavorful standards. higher, but the brand is pretty much everywhere in the world. follows with a sharp noble hop bite and a long dry finish. saying much. That said, when it’s fresh, it’s truly magical. supposed to be a “hoppy” Slavic strong lager. with a syrupy finish. There’s nary a hint of hops with a very soft CO2 bite. sure this isn’t exactly flying off the shelves on American shores.